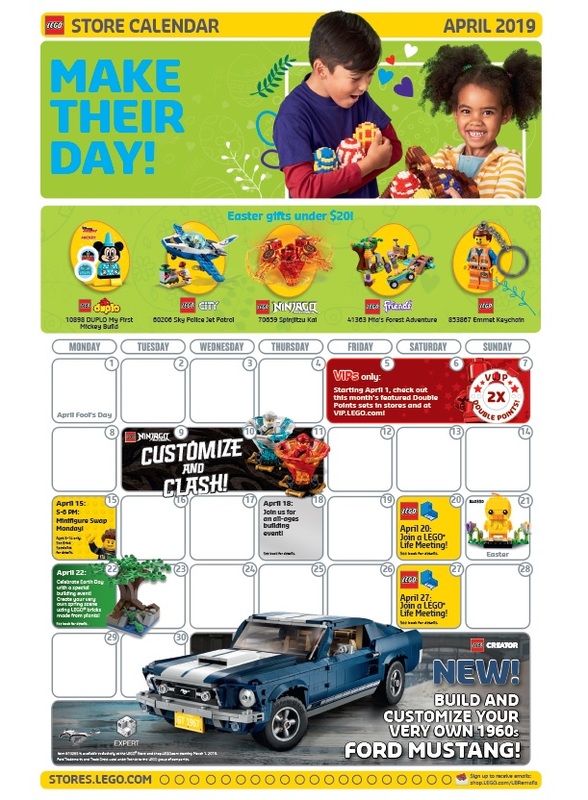 The April 2019 LEGO Brand Retail Store Calendar is now out. You can view the full calendar here. There’s not much on the calendar aside from events happening mainly at the LEGO Brand Retail Store. There’s Minifigure Swap Day and LEGO Life Meetings. Note that instead of a monthly VIP model build, they now have a special build happening in April known as “Earth Day Building Event”. Registration is available in-stores. Registration begins on April 5 in-stores only. The event occurs on April 22. In the future, we may get more of these events instead of the VIP model builds.